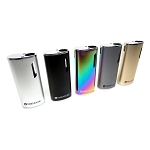 The Impetus GoGo Vaporizer is a sleek pocket cartridge battery with advanced adjustable output controls that houses and protects your 510 oil cartridges in style. 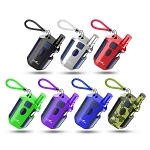 It is equipped with a versatile 510 thread connection that accepts cartridges as large as 11.5mm in diameter. 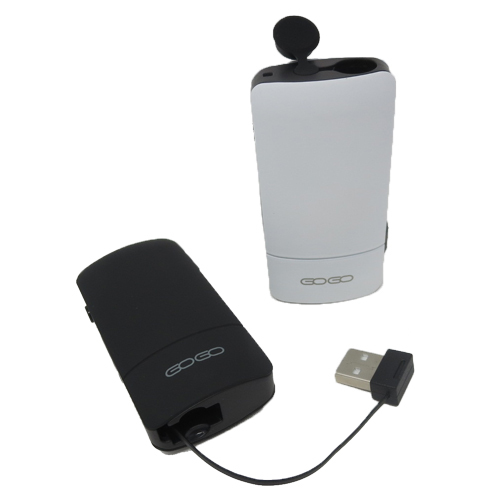 Just connect a magnetic adapter and your attachment instantly secures inside the Gogo's housing. 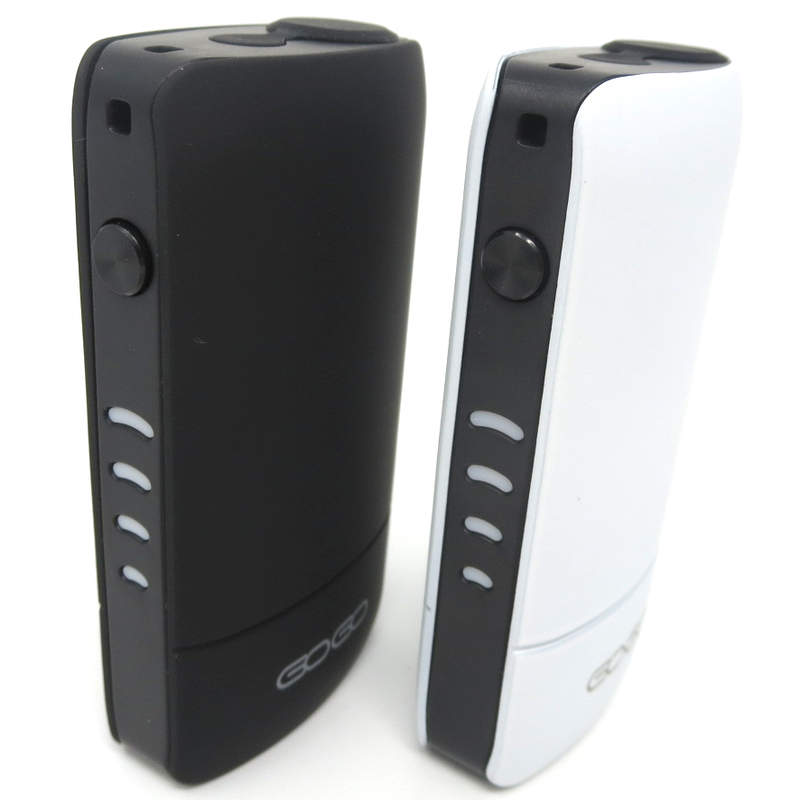 Cartridges 56mm and smaller in height will fully conceal inside the Gogo body and allow for the silicone cap closure. When you are ready for use you just use the slider on the side of the device to raise your cart up into the Gogo's firing position and then drop it back inside for safe storage when finished. If the attachment is not raised all the way the device will not fire. 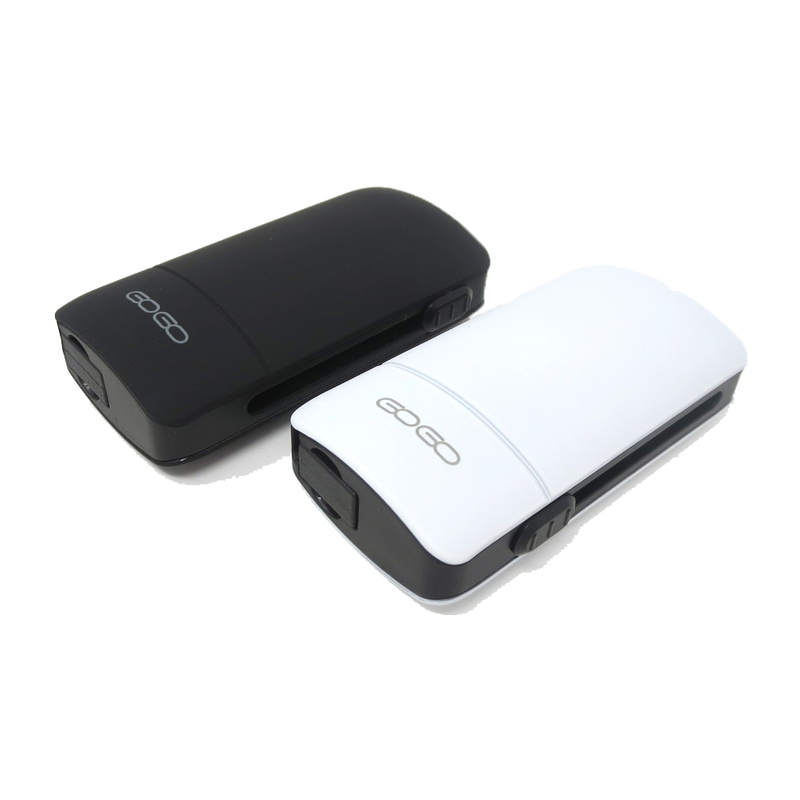 Under the hood, the Gogo Vaporizer there is a 500mAh lithium-ion battery with advanced variable output controls. 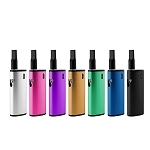 You have a wide voltage range including four preset settings that will easily cover your needs for a wide range of concentrated oils (2.8V, 3.2V, 3.7V, 4.2V). Your voltage settings are easily controlled and monitored using one button and a 4 light LED power indicator on the face plate. Pressing the button 5 times rapidly within 1.5s will power it on/off and 3 times will adjust your voltage output setting. The LED indicator will add use one light at it's lowest power setting and add one for ever change in level. When adjusting voltage a cartridge must be attached and raised into the firing position. 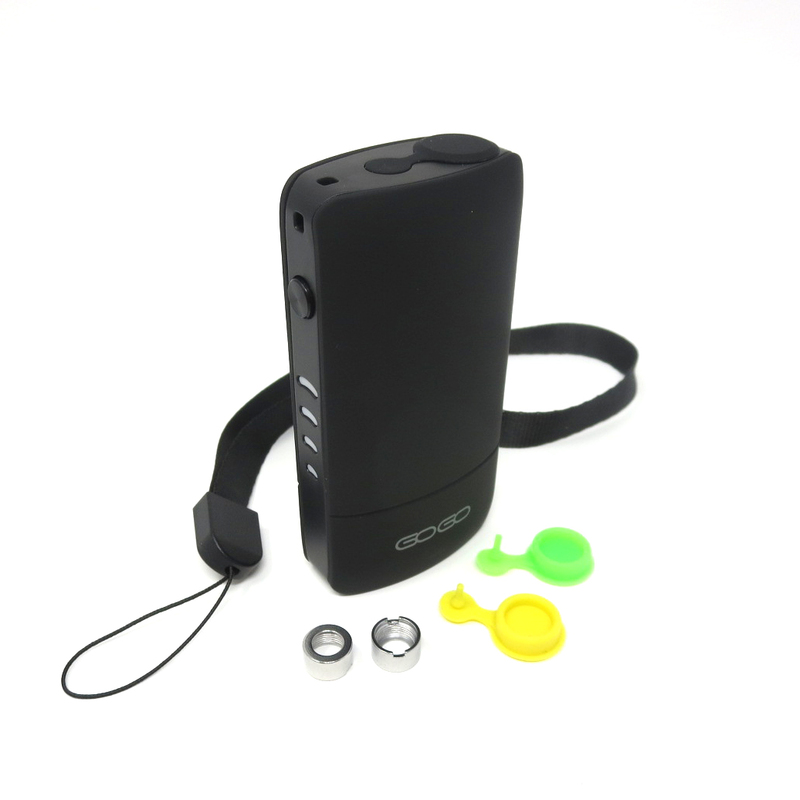 The LED power light also doubles as a battery life indicator for added convenience. Press the power button for one second and you will notice the LED shift to indicate it's current remaining battery life at a glance. At a full 100% charge all four lights are shown and after every 35% decrease one light powers off. 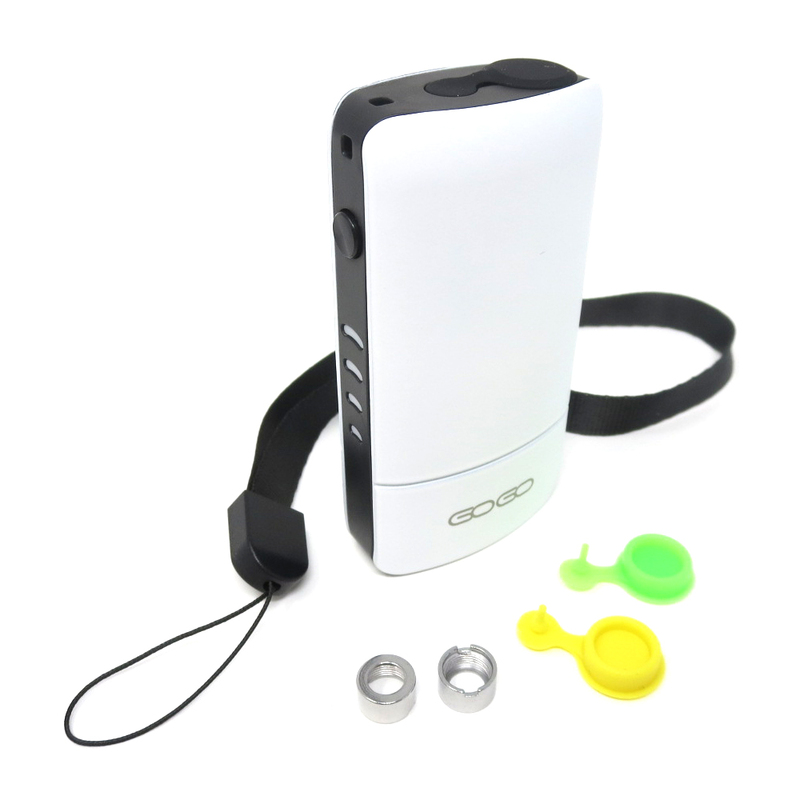 When the time to recharge eventually comes around the Gogo Battery has a retractable 80mm max usb charging cable built directly into the bottom of the device so you are always able and ready to charge as long as you have your Gogo. 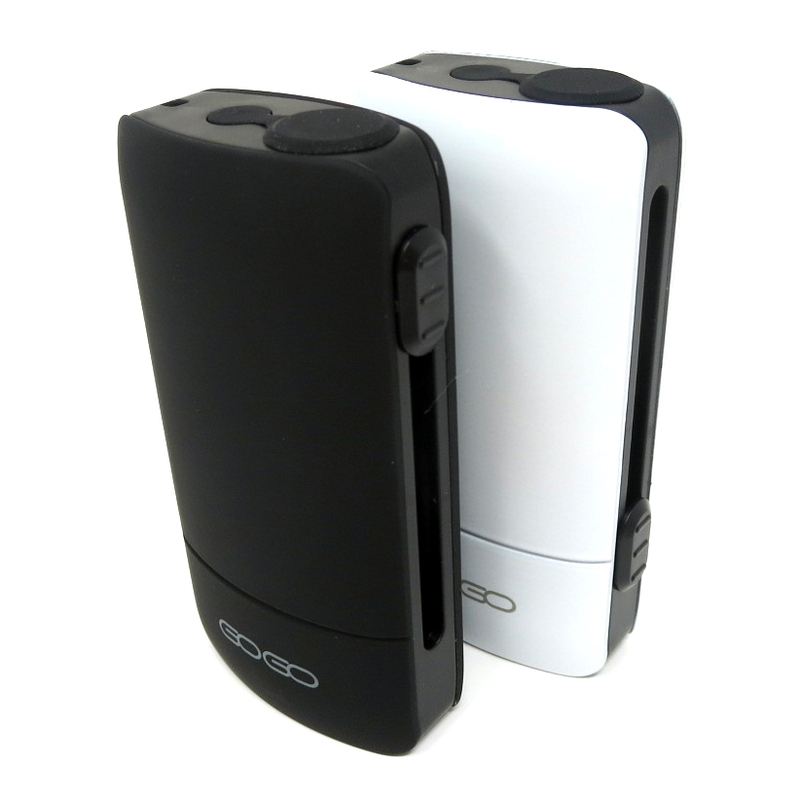 Grab your ImpetusVape Gogo Cartridge Battery today in a sleek Black or White color. 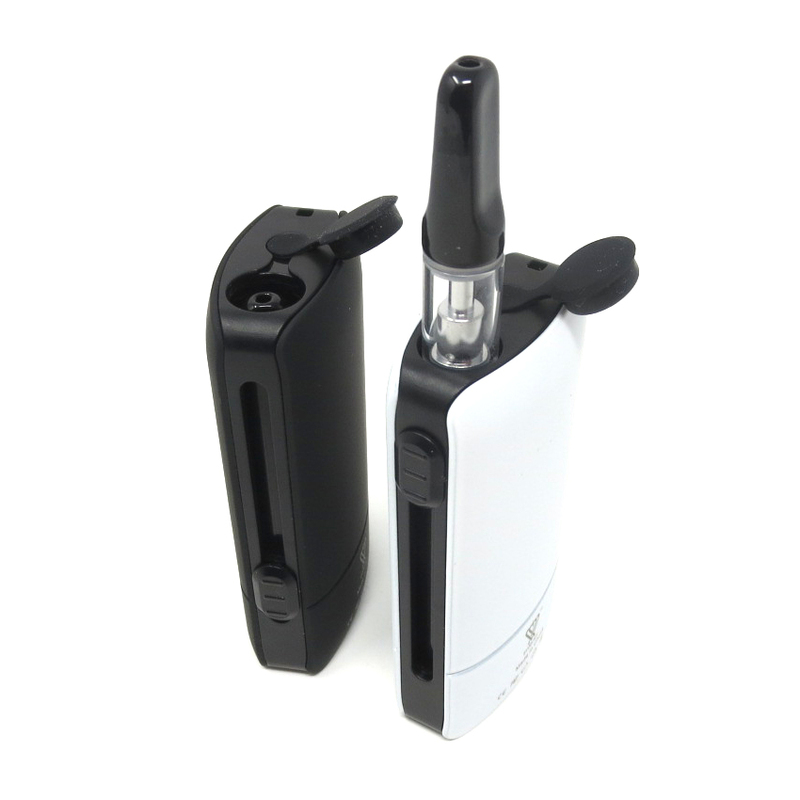 Purchase the Battery Only Set or Upgrade to include a premium 510 oil cartridge. 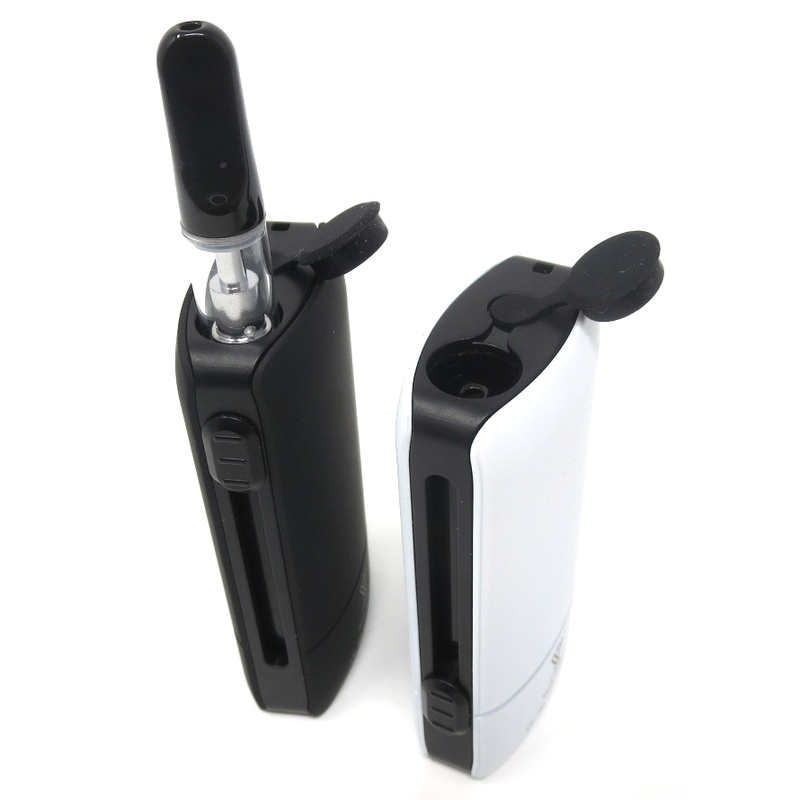 Select and receive a matching color ceramic cell refillable 0.5mL glass oil cartridge with premium ceramic for unmatched performance.